This morning we discovered that IT Pro has mentioned Calc VAT in their news section Top 5 Android, Blackberry and iPhone apps. This is great news for Calc VAT and we are looking forward to many other new online sources to link back to us and review us as a top business application for the iPhone. This morning I have uploaded my very first screen cast tutorial to YouTube which shows you how to create a basic iPhone Hello World application. How to make sure the UITextField closes when the done button is clicked. We even have some compilation errors during the build which I show how to correct. So there you have it my very first video, these will improve over time if you have any comments or suggestions of what you would like to see in the future just let me know. Today I was looking through one of my websites raw log files and noticed that a couple of websites are using my site images directly on their website. Content linking adds unnecessary traffic to your website and you never get the full credit from the visitor looking at the images, in particular the site where I have all these images is a site which earns me a small amount of money from AdSense adverts and sales of my Colouring Book application. Luckily on the One Smart Host servers we utilise ISAPI Rewrite V3 so blocking this type of content linking is very easy. 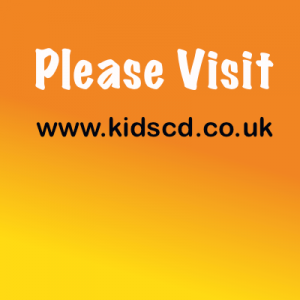 This basically only allows images to be served up from my domain www.kidscd.co.uk and if a content link is detected from another domain they are directed to the blocked.png which I have uploaded. 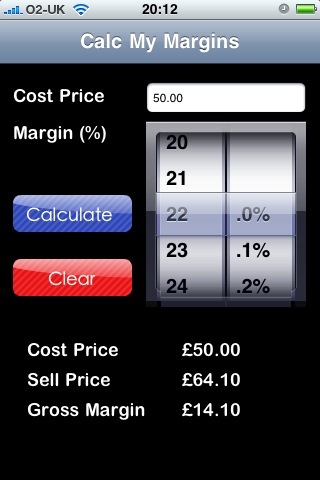 Today apple have approved my latest application “Calc My Margins” which is a profit margin calculator for the iPhone. 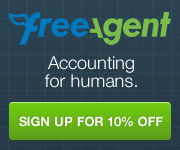 If you find it hard work to remember the formula for calculating profit margins then this application is perfect for you, simply enter the item cost price and use the application picker to select a percentage for your margin. The application will then instantly calculate the sell price and show you the gross margin, what makes this application great is that you can easily slide the percentage amount with your finger i.e. 20% to 22% and you can instantly see what the new sell price would be. The past few weeks and months have been super busy ones, during this time I have been doing a lot of new work mainly working on www.onesmarthost.co.uk and also learning Objective C and iPhone programming so far it is all going well, at the moment I am learning in stages and producing mini apps with the end goal being able to produce a bigger and unique application. Coming from a DotNet / PHP background has helped me a lot however Objective C and XCode is a new area to me, i was stunned at the first when I went to add a button and click event in VB.NET it’s simple drag a button to the form double click it and type Messagebox.show(“hello world”) however in XCode theres quite a few more steps to be made, however after working with XCode I’m rather liking the new way of coding, its fun and entertaining. My newest application is Calc VAT, and I will post more information about this in the coming days. In terms of the blog here I will be posting my ramblings (hopefully not too much), news about my new apps and also how to information on iPhone Dev or Web Hosting. Well the launch of iTucker went very well on the app store day one has seen 891 downloads worldwide, however a problem was found within hours of the launch on the app store. During compiling the app iTucker I compiled it for a specific iPhone version 2.2.1 which means older versions of the iPhone firmware cannot download or run iTucker. So a new version has been submitted to apple this morning with the only change being backward compatibility, hopefully apple will approve this new version very soon.